Classic Bruce Willis - bloody and dirty! 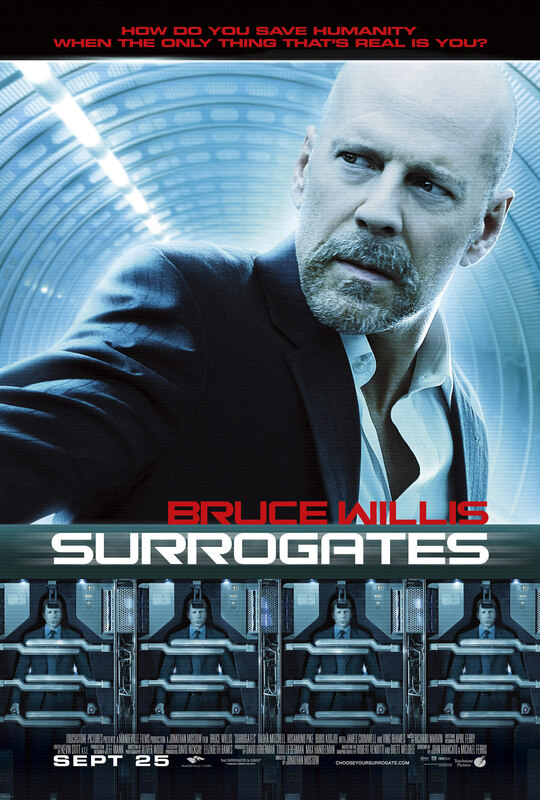 The concept for this movie is quite interesting and the idea of using “surrogates” instead of actual bodies is probably quite realistic within 100 year despite being very surreal now. However as it is with most sci-fi like this it has quite a few lame moments and some of the ideas and plot are a bit too easy in my opinion. Acting is around what could be expected from a Bruce Willis action movie. He does his thing where he gets beat up and covered in blood and dirt, toughs it out and defeats the bad guy in the end. (Sorry for the spoiler, but you knew this already!). The rest of the cast are rather minor role and the same goes with their performance. The effects and stunts are also very standard Bruce-Willis-action-movie-like. I think this movie is nothing special, but it is not bad either.